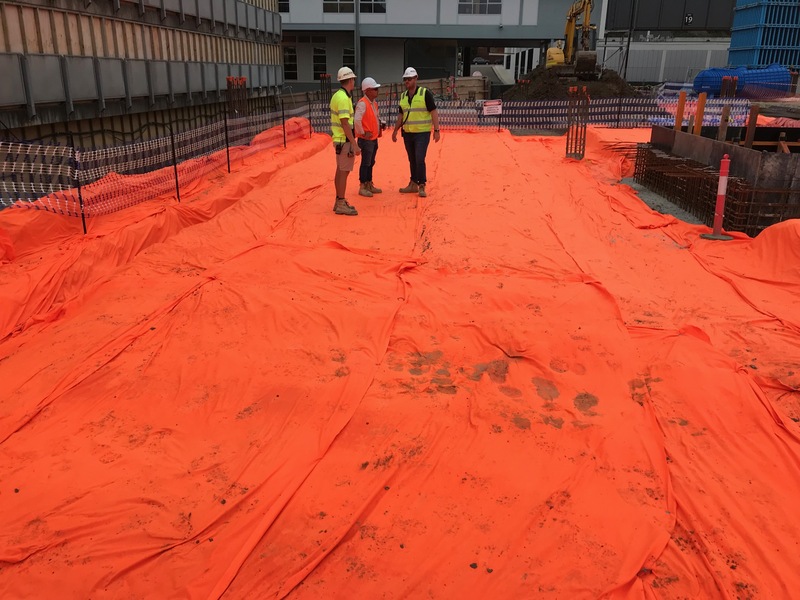 ProFab® AS140/Orange nonwoven geotextiles are comprised of fibres, needled together into a stable matrix, that provides excellent physical and hydraulic properties. The product is produced in a high visibility orange at the time of manufacture. ProFab® AS140/Orange is designed to delineate potential areas of hazard when excavating potentially contaminated ground or in the positive identification of buried services. The AS140/Orange product is laid at time of construction over the top of identified hazards. for later use by service and construction operators. ProFab® AS140/Orange provides a highly visual indicator layer that identifies buried hazards.